Lebanon topped the Middle East at No. 25. according to an unusual new report that analyses smiling selfies on Instagram. Jetpac, a startup known for their social travel guide app, has analyzed more than 150 million Instagram posts in 6,000 worldwide cities to come up with a ranking of the happiest countries on the globe. Jetpac compiled the rankings by coming up with what they call a "smile score" for each country, a measure determined by analyzing how often residents were smiling in Instagram photos. The bigger the smile, the higher the smile score. A country's overall smile score was determined by averaging the scores each photo's smile received. While the study ranked Brazilians as the happiest people in the world, Lebanon topped the Middle East. Although the coming news everyday from Lebanon does not imply any happiness, but this thing only proves that the Lebanese people love life regardless of everything that is going on in their country and they try to overcome war and guns with a smile. 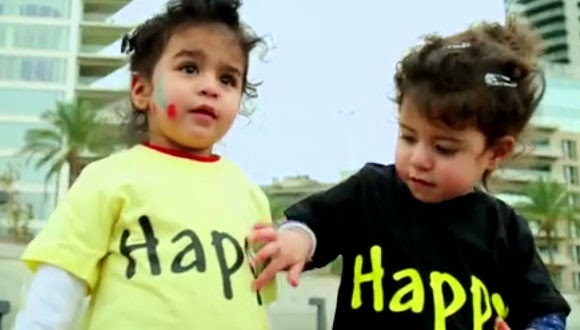 And The Kindness Project is a witness on that, because we are getting daily kindness stories from the Middle East. Lebanese value the little things in life. That's why you see them smiling in their photos. And they are working on spreading kindness to make their country a better place. Here's the complete ranking. Scores are out of 100 points.